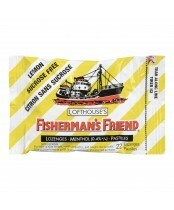 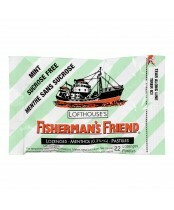 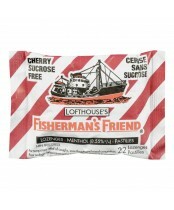 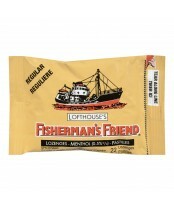 Fisherman's Friend are strong menthol lozenges that were developed in 1865 by a young pharmacist named James Lofthouse to relieve various respiratory problems suffered by fishermen working in the extreme conditions of the Icelandic deep-sea fishing grounds. 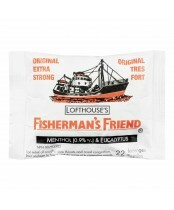 Originally developed as an extremely strong liquid remedy containing menthol and eucalyptus oil, Lofthouse made this liquid into small lozenges which were easier to transport and to administer. 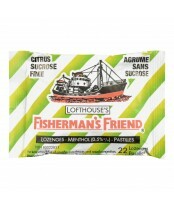 The lozenges exist in their current form relatively unchanged since their creation, but are now available in a variety of flavours in over 100 countries.